Mark grew up in the San Francisco Bay Area. When he was 9 years old, a Gibson LGO guitar was loaned to his older brother, Tom. For the first and only time in his life, he told a lie to his mom saying he was sick so he could stay home from school and play that guitar. He was quite proud of the blister he got, showing it off to his friends the next day at school. In high school, he took up drums and played in garage bands, frequented the Fillmore and Winterland in San Francisco, with early favorites including Jeff Beck and Jimi Hendrix. Then at age 18 he got his first Martin guitar. He had worked many varied jobs, from a lumber mill to real estate, but playing guitar became his true calling and passion. And when he came to Southern Oregon in 1999, it was fitting that he became the manager of Cripple Creek Music in Ashland. Surrounded by instruments he loved to play, he welcomed folks quietly in to his world, listening, sharing, and gently encouraging that affinity for music. With Mark, that affinity was immediately palpable when he picked up a guitar, and you felt him become music. You sometimes heard him hum and strum as he made the strings of his Martin sing under his expert hands in full-throated harmonies, dancing fluttering riffs, or tasty stinging accents. He often played biting, intense, yet melodious leads, simultaneously thoughtful and passionate. 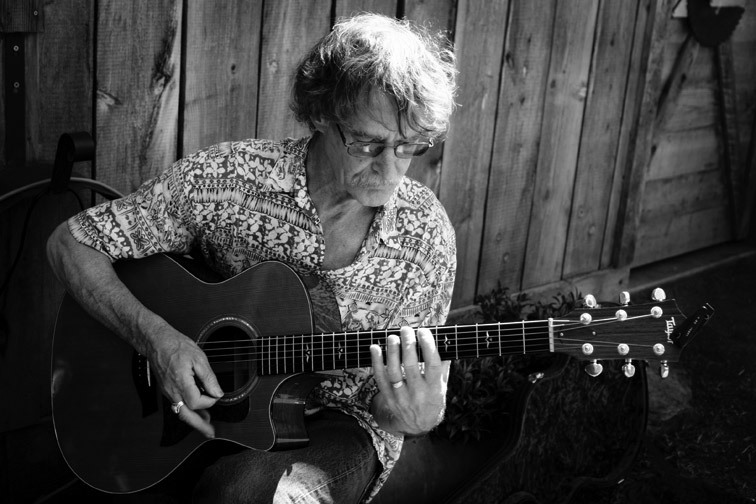 Whether having a quiet musical conversation with a guitar while putting it through its paces, or launching a spontaneous in-store mini concert, Mark has on many occasions brought customers and passersby alike to a standstill, to listen with awe. Cindy was raised in Utah, and encouraged by her parents to play piano, flute, bass violin, and later on her own picked up the guitar and fiddle. A spark was ignited early from her dad’s passion for classical music and big bands. Her grandfather played fiddle, and she heard both grandparents singing the soulful music of the cotton fields of Oklahoma. 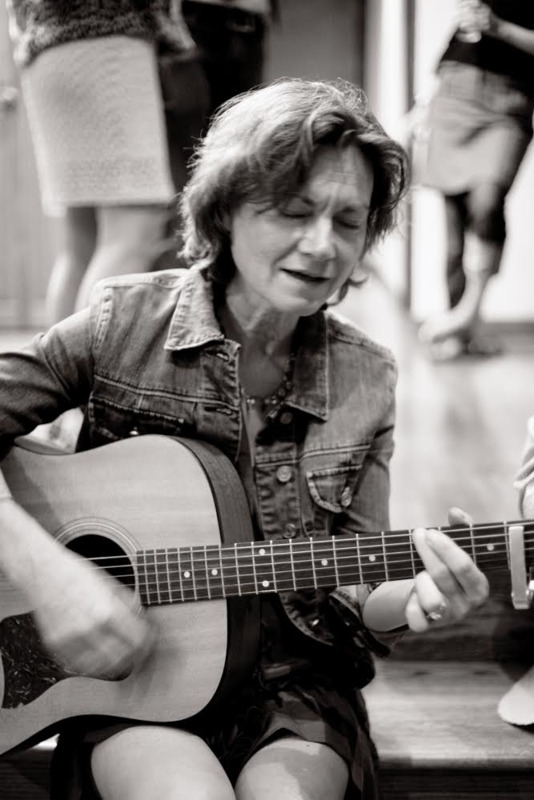 As a songwriter, Cindy's songs have an emotional, poetic pull--whether as a dream or waking vision, sometimes prayerful, sometimes with a hard look at life--that are always thoughtful, and drawn from within. And when she sings, it is with soft, moving, heartfelt emotion. There is a tenderness and a yearning, soulful quality to her voice that is smooth and liquid. As a duo, and as a songwriter himself, Mark infuses her lyrics with rich, melodious tapestries, from playful, rhythmic rock progressions, to breath-taking solos that soar, then carry you gently back to earth. Together they create musical collaborations that elicit delight, introspection, and touch the soul.